Beginner or veteran embroiderer, join our HoopSisters Embroidablock of the Month, the first Saturday afternoon of each month, January - June, 2019. Master your embroidery skills! 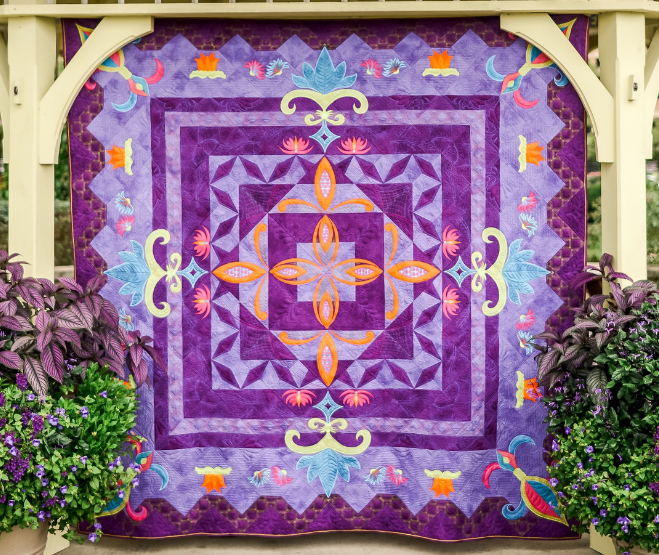 Learn about stabilizers, hooping, threads, needles, accurate placement and more while you create Fleur de Lis. Requirements: A minimum 5 inch embroidery field is required. Instructor Bio: Venitta McCall, among many talents, is a Certified Hoopsisters Educator, an independent contractor for the BERNINA Education Team and an embroidery enthusiast who shares all of her good techniques and tips.